March 28, 2018 at 12:08a.m. 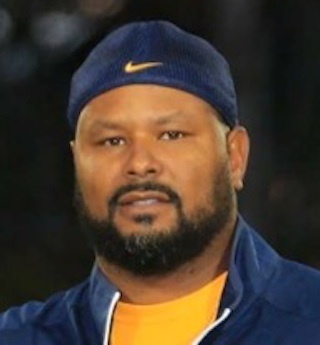 Although Chaney High School will field only a freshman football in 2018, the reborn program has hired its varsity football coach. Rick Shepas, Youngstown City School District’s chief of physical development and athletics, announced the hiring of Chris Amill on Tuesday. “I’m very excited,” Amill said. “It’s a great opportunity. It’s something I’ve been getting prepared for since I was little. Chaney will restart its varsity football team in 2019. Amill was an assistant coach at Cardinal Mooney for six seasons. During his time with the Cardinals, the program played in two Division IV state championship games, including a state title win 2011. Last July, Amill was named the director of men’s player development and an assistant football coach at East High School. The former Cardinal Mooney defensive coordinator left the Cardinals for the same position with East. Anthony Floyd, East track coach and former Chaney football player, already has agreed to join Amill as the assistant head coach. Amill still has holes to fill on his staff but already is reaching out to coaches around the state to gauge interest. He has calls out to several coaches with ties to the Youngstown area. His goal is to have his coaching staff in place by the end of the school year. Shepas wanted a Chaney football coach in place as soon as he could. He said having a head coach in place will generate excitement around the new program. Shepas said any positive news about Youngstown City Schools and Chaney athletics could only help the program. He said Amill’s previous experience as a football coach and player, as well as his connections to the Youngstown were reason for the hire. Amill plans on meeting with Bucci in the future to ask advice on the head coaching transition. Amill will stay in his current position as East’s defensive coordinator through the 2018 season. He said his goal is to change the culture. “We have about 90 guys signed up for football [at East]. We have a lot coming into the weight room, working out,” Amill said. “I think when you start to change that culture, when East splits and becomes two separate football teams, those older guys become your leaders. “Really, the hardest part is changing the culture because everybody wants to win,” Amill said. “And I think we’ll show people the hard work and dedication we put in. July 21, 2017 12:09 a.m.
November 17, 2018 12:07 a.m.